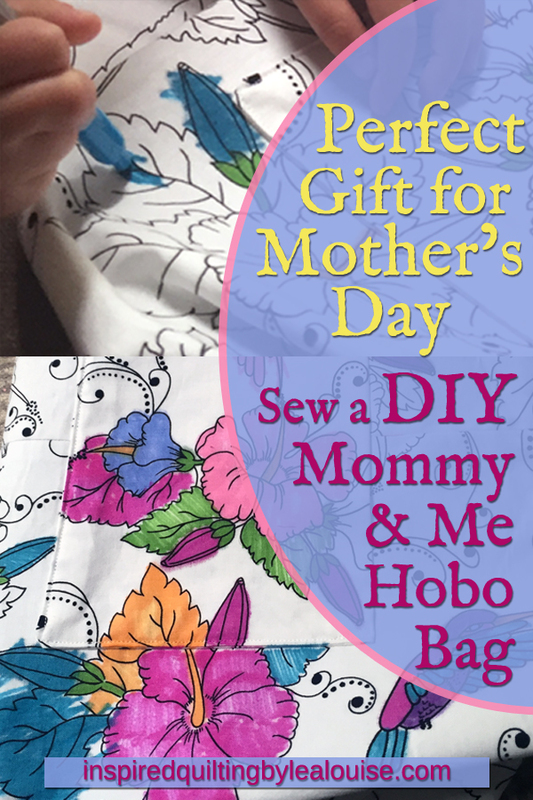 Fat Quarter Friendly Hobo Bag Pattern Makes a Perfect Mother’s Day Gift! 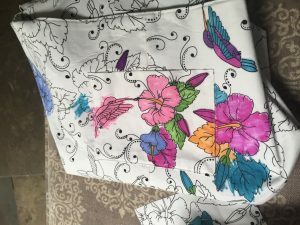 Note regarding the DIY Reversible Hobo Bag: Since I share great projects with you, my posts may contain affiliate links for my favorite products used. I’ll receive a small commission on any purchases you make but it will not affect your price. This is not a paid endorsement for the DIY Reversible Hobo Bag pattern designed by Pineapple Fabrics mentioned in this article. I’m sharing this pattern because I really enjoy using it. Thank you & enjoy! Updated April 15, 2019: A new version of this DIY Reversible Hobo Bag pattern has been published. These bags are all made from the original version from two years ago. While this Hobo Bag makes a wonderful size carrying bag, the newer version is bigger with even more room! Either way, it’s a great pattern and I think you’ll love it! There’s something wonderful about a hobo bag. I love the slouched form with straps just long enough to slide over my shoulder. Comfortable to carry, they always look great. Whenever I’m looking for a new purse, the hobo bags always catch my eyes first. 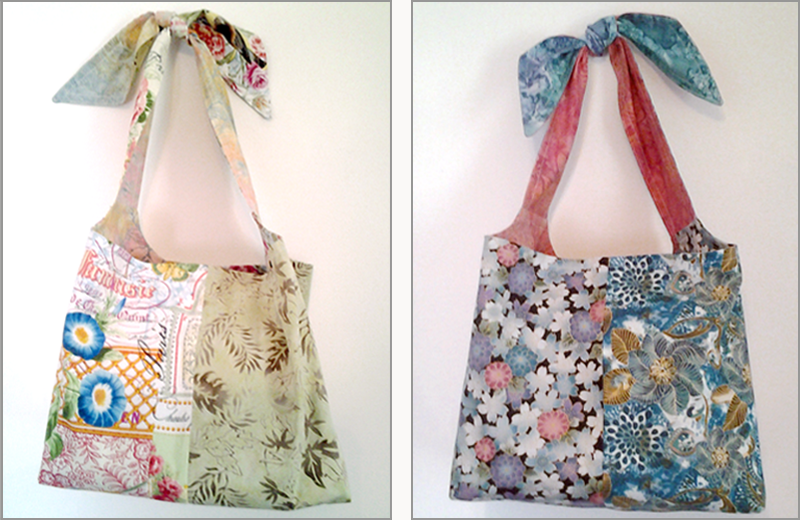 When I discovered this reversible Hobo Bag pattern from Pineapple Fabrics, I was anxious to make one. Other than simple tote bags, I’d never sewn a bag like this before. This Hobo Bag Pattern excited me because it’s reversible, designed to use multiple fabrics and is fat quarter friendly. With my extensive collection of fat-quarters I couldn’t get started fast enough. All I could think about were the gorgeous color combinations to make these bags personalized for friends and family. 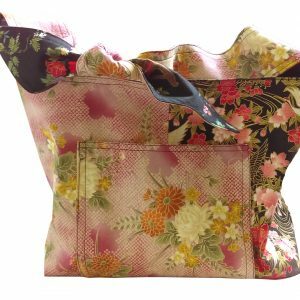 The bags I’ve made have been quite varied from an assortment of batik fabrics to Asian prints and they all looked fabulous. This Hobo Bag pattern is well written and goes together quickly. The only modification I made was to sew a sturdy, bottom insert using heavy interfacing for support. I cut one piece of coordinating fabric and 1 piece of medium weight fusible interfacing each measuring 17” x 13”. Then fused the interfacing to the wrong side of the fabric. With right sides together, I folded the fabric to measure 8 1/2″ x 13″ and sewed it leaving a 6” opening. After turning it right side out, just baste the opening closed. It’s a perfect fit and helps the bag stand easily holding its shape so much better. This pattern has been such a success, that I’ve made about a dozen different bags for family and friends. It is reversible, fat-quarter friendly and very versatile. It takes just shy of 2 yards of fabric to make which includes enough for the bottom insert. Whether a gift for a holiday, birthday, or Mother’s Day, this is a hobo bag they will cherish! My local quilt shop had some black & white color-me fabric and excitement jumped through me when I saw it. With little ones in the family, I’m always looking for interactive gifts that focus on the kids. Immediately the perfect gift for my niece came to mind. The plan was for a ‘Mommy & Me’ hobo bag that could be colored on the go. Now I was really motivated to get started on something new! 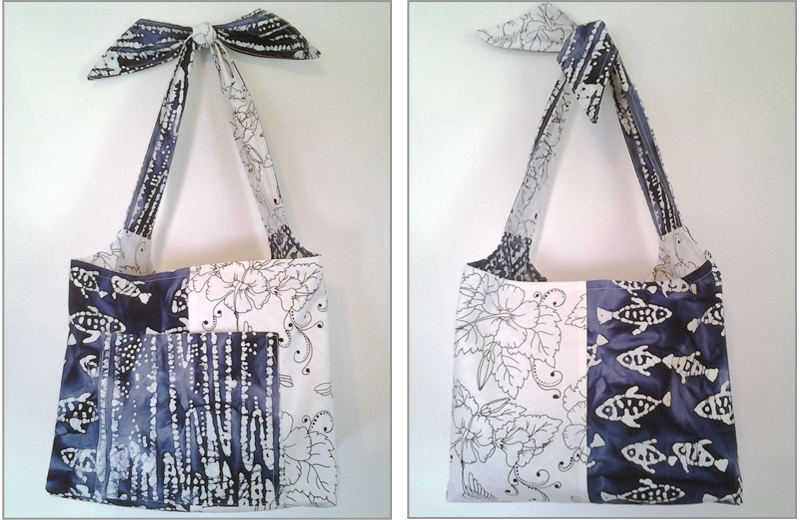 The first bag I made was lined with a pretty batik, but the bold black & white exterior was ready to be filled with color. It was gift wrapped and included a package of ink markers for the family to use on this new keepsake. Imagine the heartfelt memories this bag will hold. Not to mention, a great activity when kids need to be kept busy for a few minutes when you’re on the go. Simply pull out a couple markers and let the creativity happen. When others saw this bag, they wanted one too. A family gift isn’t always easy to find. Especially a fun activity that will evoke some wonderful memories every time you see it. Make one for yourself first in your favorite colors. Definitely make one for a Perfect Mother’s Day Gift! Then try some variations, and maybe even a color-me version for someone special. 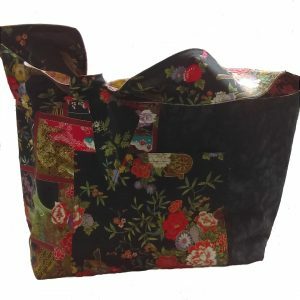 Wrapped in a gift box with a set of fabric ink markers, this bag makes a fabulous gift. A Friendly Recommendation, Nothing More. Just to be clear, I receive nothing for endorsing this Hobo Bag pattern. I picked it up at QuiltCon 2017 in Savannah, GA because I loved the display bag in the Pineapple Fabric booth. It has been a fun pattern for me to use, and is easy to put together. While I love quilting as much as I can, small projects provide a great diversion. Everyone who I’ve given one of ‘my’ hobo bags to has loved it. I hope you give it a try and enjoy it as much as I have. Be sure to add pictures of your completed bags on Instagram for everyone to see at #diyhobobags and #createmorebeautyinyourlifeeveryday. Thanks and enjoy this project!